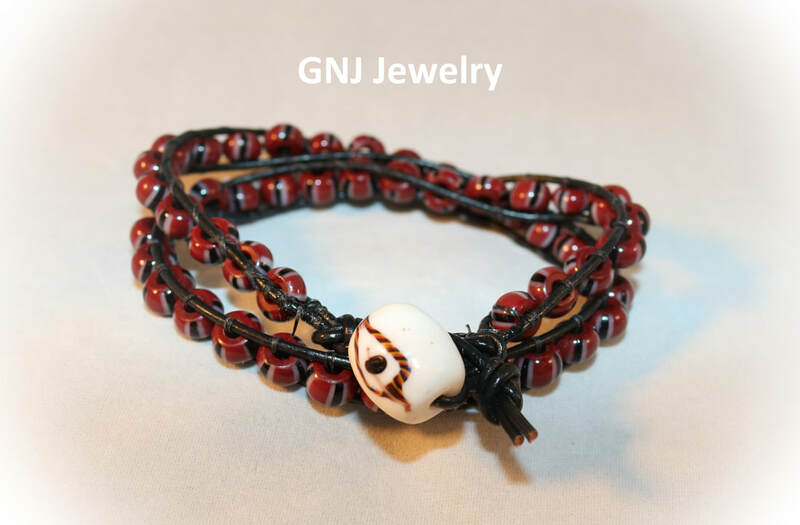 Bracelet is handcrafted using seed beeds and super duo beads. It closes with a slide closure and measure 7 1/2" in length. Some of my customers are using these wrap bracelets as hair ties and necklaces. 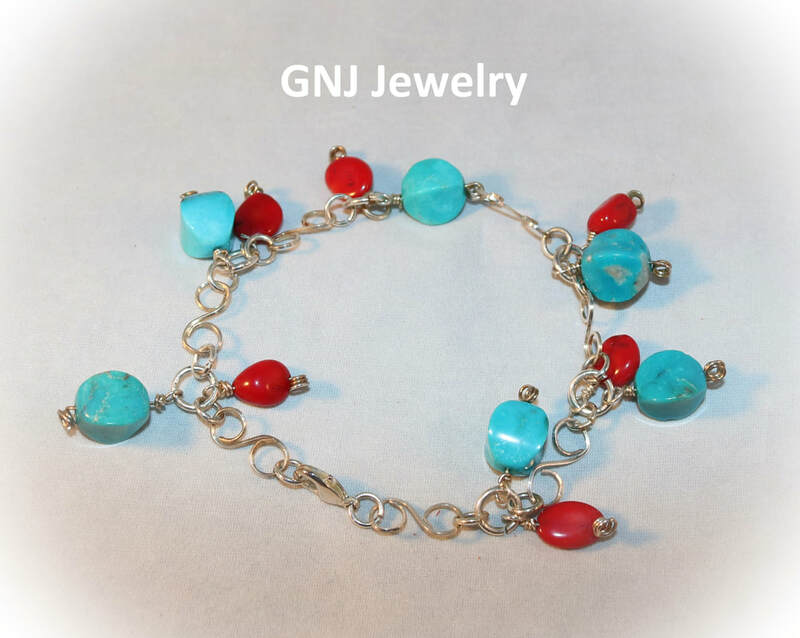 This bracelet is done with white leather and red/white/blue African trade beads, closing with a sliver button. Faceted Amethyst beads, Italian White Leather Wrap Bracelet with a Silver Button Closure. 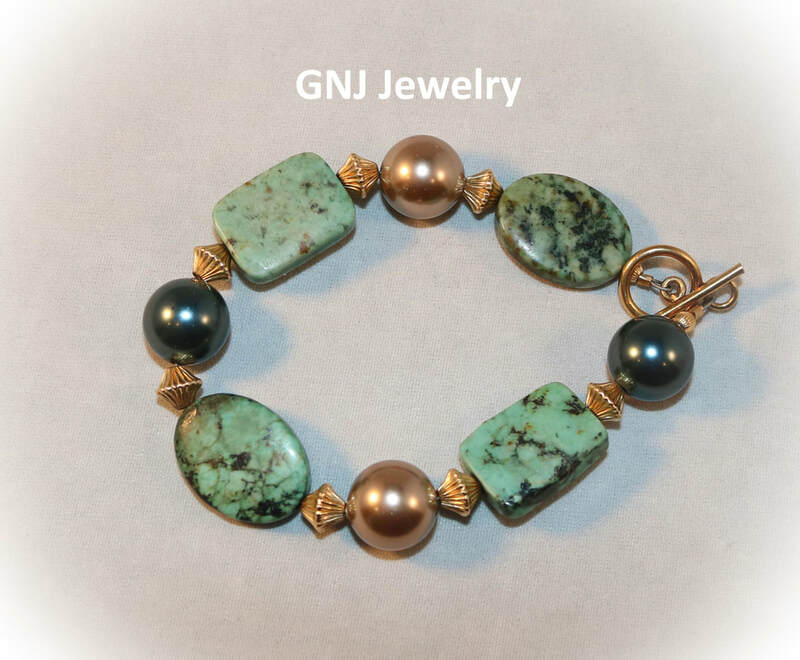 Here is a new style of bracelet I'm trying out. 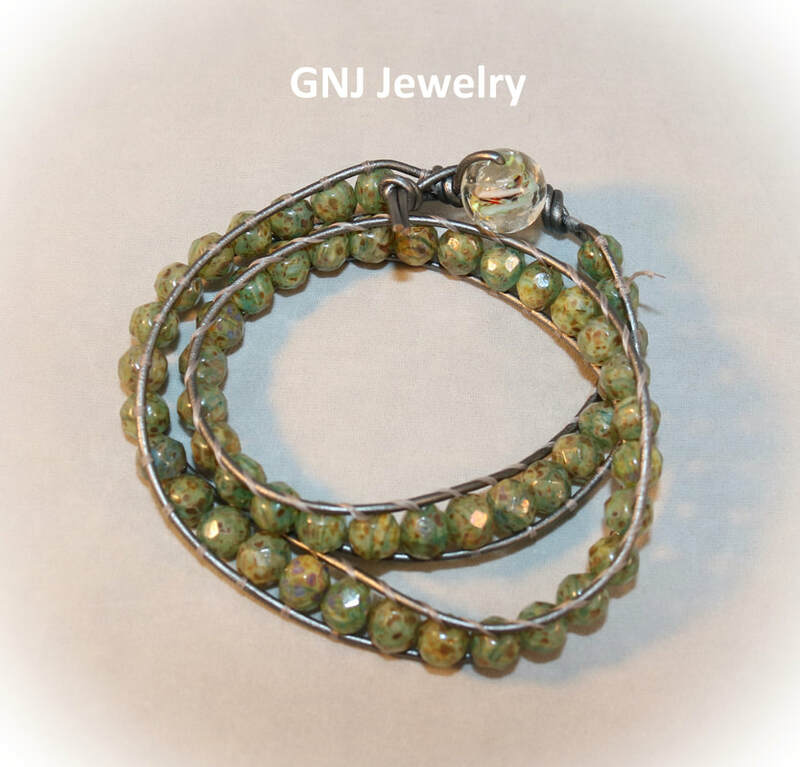 The beads are woven into the leather and closes with a button/loop closure. It measures 8 1/2 inches in length.